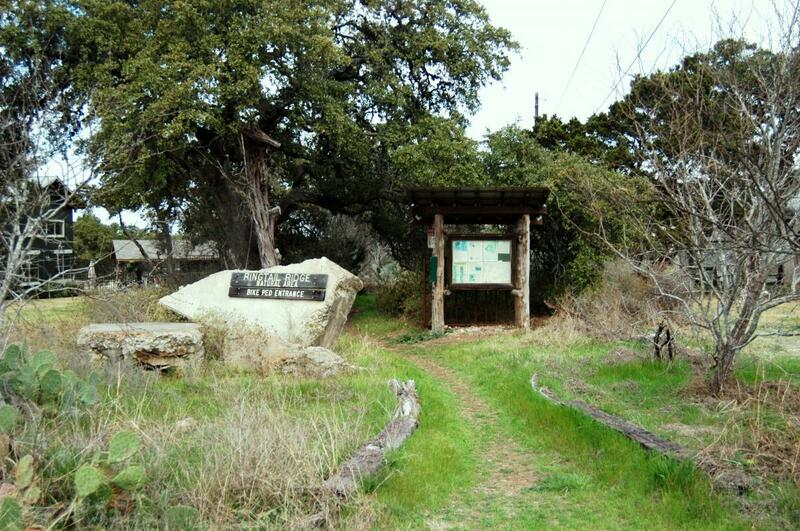 Editor's note: This is not a legal access to the Barton Creek Greenbelt. 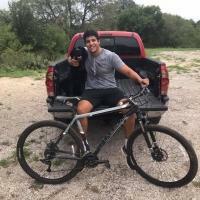 Review: This was my first trail ever so im not completely sure what to look for but i thourghly enjoyed it! It was a little wet when i went so i wasnt able to get up the whole path but the portions i did get to ride were great! Perfect trail for those starting off '???? Review: Pretty basic for the area. Nothing crazy challenging and it's really short. Got the opportunity to ride it in the snow the other day making things difficult since the rocks I normally ride over and can grip where super slick. There's a couple little jumps you can hit. I live right next to it so it's usually where I test my bike after tune ups before I take it to purgatory where I would risk having to hike my bike some distance if it breaks down. Usually a few deer hangin out near the teepee area. Saw a corral snake out by the bench on the Tex trail once. Review: Varied tread makes this a unique ride despite its short distance, rocky and challenging in some sections, windy and flowing in others. The trail travels through very interesting terrain. Several areas with berms provide even more interest. The trail has easy access from town. Review: A couple tight squeezes. Lots of cactus at points and a couple bigger rocks. I would reccomend driving to the back of the ridge to park and get out. I drove in on the rock trail but left through the ridge it was alot easier. 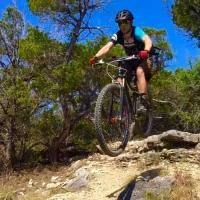 Review: As far as trail riding in San Marcos goes, this is as good as it gets. A short loop of some decent singletrack with a few mild technical challenges. This is a good spot to spin a couple laps if you don't have time to leave town. Ringtail Ridge MTB Trail 2.80 out of 5 based on 6 ratings. 6 user reviews.